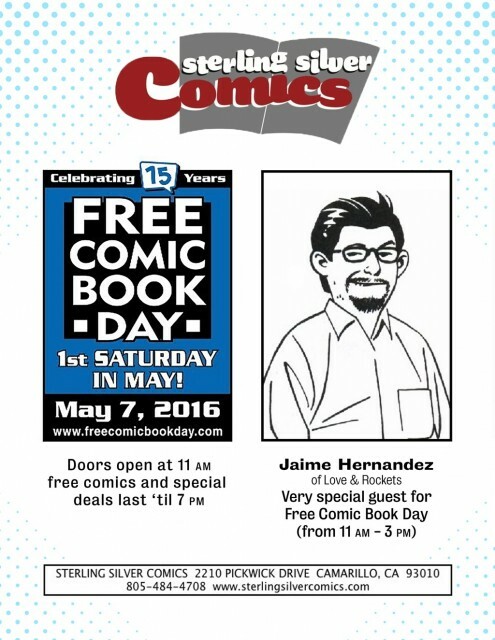 Free Comic Book Day is Saturday, May 7th! Our special guest will be Jaime Hernandez of Love and Rockets fame, who will be appearing from 11 AM ’til 3 PM, signing the free Love and Rockets comic that will be available that day! NEW! You can find the Facebook event page right here! This entry was posted in Store News on March 31, 2016 by Mike.